This article is about the son. For his father, also an author, see Alexandre Dumas. 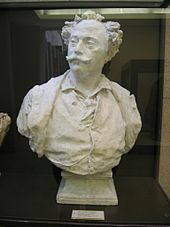 Dumas was born in Paris, France, the illegitimate child of Marie-Laure-Catherine Labay [ru] (1794–1868), a dressmaker, and novelist Alexandre Dumas. In 1831 his father legally recognized him and ensured that the young Dumas received the best education possible at the Institution Goubaux and the Collège Bourbon. At that time, the law allowed the elder Dumas to take the child away from his mother. Her agony inspired the younger Dumas to write about tragic female characters. In almost all of his writings, he emphasized the moral purpose of literature; in his play The Illegitimate Son (1858) he espoused the belief that if a man fathers an illegitimate child, then he has an obligation to legitimize the child and marry the woman (see Illegitimacy in fiction). At boarding schools, he was constantly taunted by his classmates because of his family situation. These issues profoundly influenced his thoughts, behaviour, and writing. Dumas' paternal great-grandparents were Marquis Alexandre-Antoine Davy de la Pailleterie, a French nobleman and Général commissaire in the Artillery in the colony of Saint-Domingue—now Haiti—and Marie-Cessette Dumas, an African slave. Their son Thomas-Alexandre Dumas became a high-ranking general of Revolutionary France. Dumas died at Marly-le-Roi, Yvelines, on 27 November 1895, and was interred in the Montmartre Cemetery in Paris. His grave is some 100 metres away from that of Marie Duplessis. ^ Reiss, Tom (2012). The Black Count: Glory, Revolution, Betrayal, and the Real Count of Monte Cristo. New York: Crown Publishers. pp. 190–204. ISBN 978-0307382467. 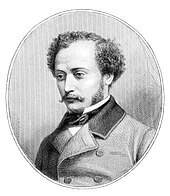 Wikimedia Commons has media related to Alexandre Dumas fils. This page was last edited on 5 March 2019, at 22:02 (UTC).